During World War II, the Civil Aeronautics Authority selects 13 black cadets to become part of an experimental program at the Tuskegee Institute in Alabama. The program is aimed at training "colored personnel" to become fighter pilots for the Army. However, discrimination, lack of institutional support and the racist belief that these men lacked the intelligence and aptitude for the job dog their every step. Despite this, the Tuskegee Airmen, as they become known, more than prove their worth. 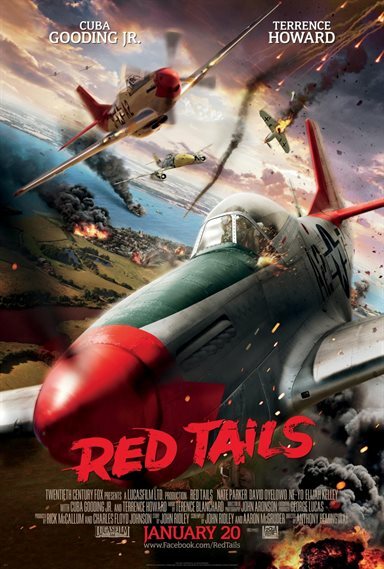 Download Red Tails in Digital HD from the iTunes store. Red Tails images are © 20th Century Fox. All Rights Reserved.